CALLING ALL MELBOURNE GUITARISTS AND BASSISTS! Have you ever dreamt of rocking out on the main stage? This is your chance! 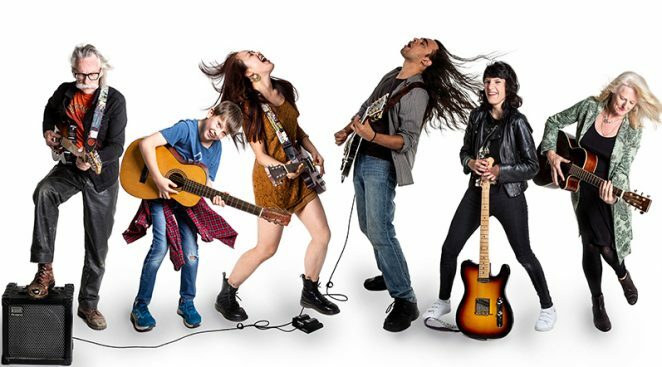 This March, hundreds of local guitarists will take over Hamer Hall at Arts Centre Melbourne for a massive free community concert on March 24. Joined on stage by Aussie music icons, to be announced in 2019. In this Melbourne-wide event, musicians are invited to celebrate the joy of playing live. Grab your guitar and get involved with free community rehearsals from February, culminating in this huge concert. Whether you’re an old rock dog or learning your first chords, all skill levels and ages can participate. Not a guitarist? Fret not. All are welcome to join us for the event. In an incredible afternoon of free music, see our community rockstars supported by a line-up of special guests. Each group will have their moment in the spotlight as they band together to perform a song learnt through the rehearsal process. In the epic finale, all guitarists will join forces on stage to perform one last rock anthem. Calling all Melbourne guitarists! Join us for free rehearsals in Fitzroy, Frankston, Werribee, Dandenong, Sunshine and Broadmeadows – kicking off in February 2019.